"Make do and mend" may be the mantra of the moment, but who says you're not allowed to switch things up a bit? 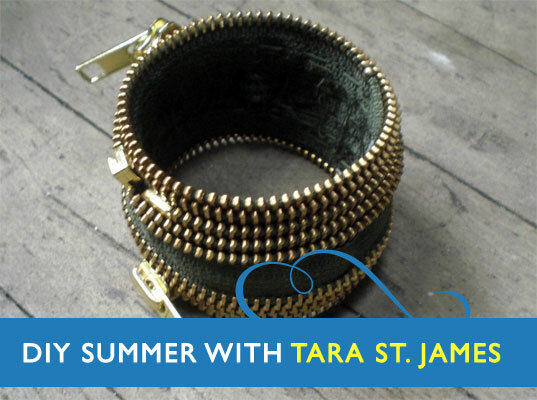 Tara St. James, the designer behind Study NY and zipper-upcycler extraordinaire, is in the house to show us how yesterday's busted zipper can become tomorrow's edgy wrist adornment. 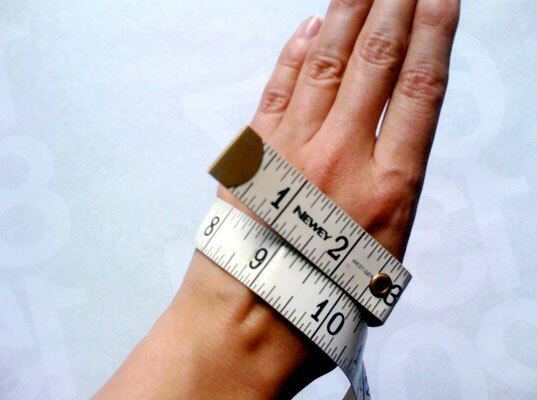 Measure your hand at the widest point with your thumb loosely tucked into your palm. 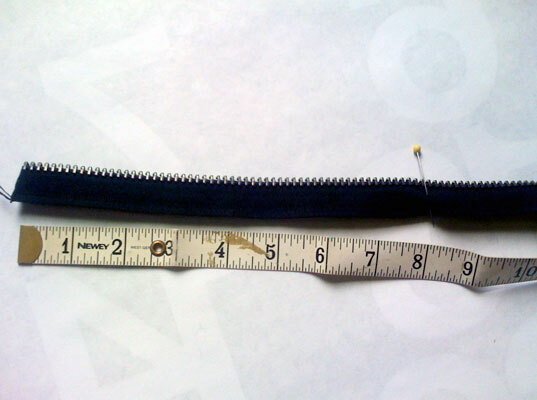 Mark out that measurement along one end of the zipper with a pin. 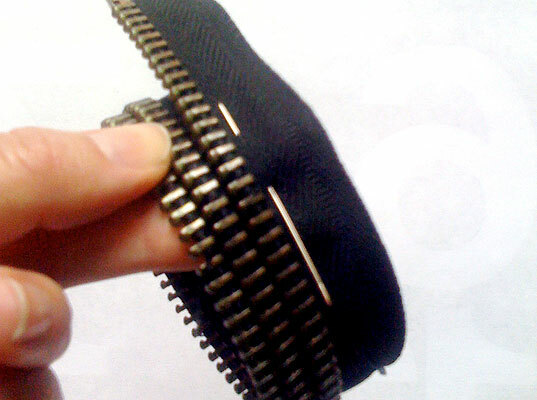 Wind the zipper around itself by lining up the marked pin point with the end of the zipper. Line up the teeth so they overlap at the very start and then let them fall next to each other. 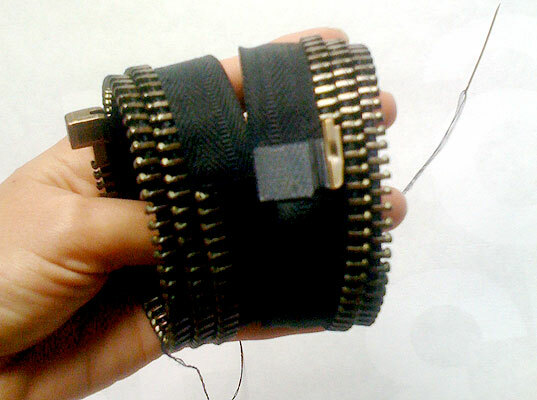 Start stitching at the end of the zipper with ¼-inch long stitches. Back-tack at the start so there’s a sturdy base to work with. Keep stitching all the way to the other end, keeping your stitches neat as they will be visible. Tack a few times at this end as well so it’s secure. 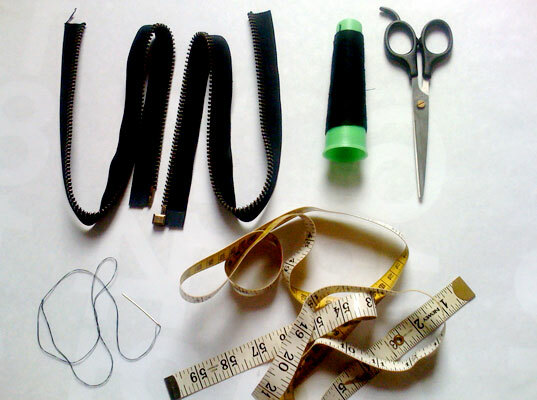 Tip: I find it easiest to sew with the zipper winding in a counter-clockwise rotation, but do what’s comfortable for you. 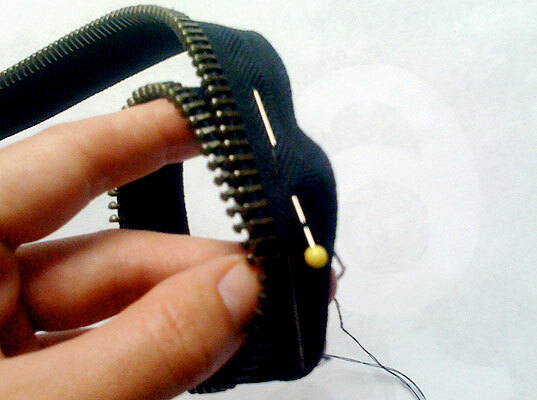 Repeat steps 1-5 with the other side of the zipper. Place one piece over the other, with the tape ends overlapping. The edge of the tape on one side should the teeth of the other side. Stitch both zippers together along the top of tape’s loose end. Double-tack at the start and finish of sewing so your stitching is secure. Voila! 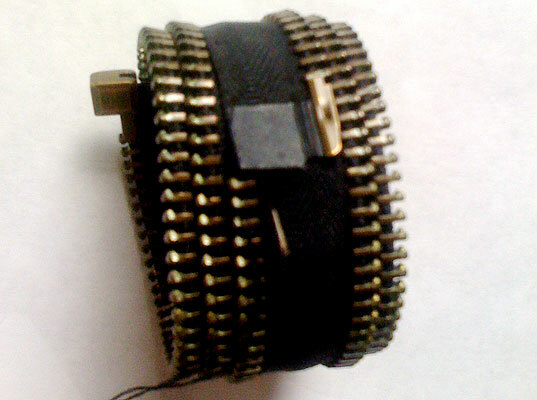 Brand new zipper cuff and one less thing in the landfill. Hi @hinair, it's the same designer�Tara St. James. This is so cool, I'm loving your site! I'll be linking to this if you don't mind. It's such a great project! 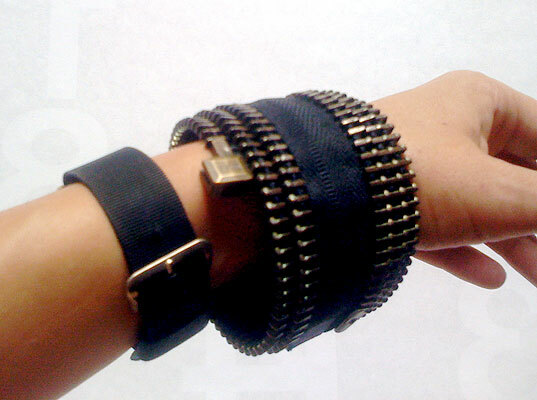 My black zipper bracelet is fantastic! I'm going to make another in olive and another in grey. I'm looking forward to your weekly updates. Keep stitching all the way to the other end, keeping your stitches neat as they will be visible. Tack a few times at this end as well so it's secure. 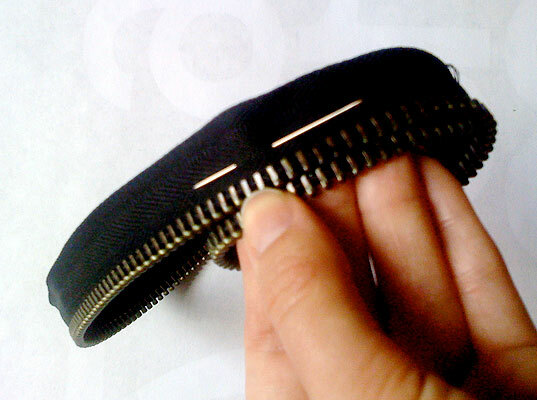 Stitch both zippers together along the top of tape's loose end. Double-tack at the start and finish of sewing so your stitching is secure.